Henry Ford changed the US with his Model T Ford. Built from 1908 until 1927, the Model T provided America with practical, affordable transportation. The Motor Company built over 15 million Model Ts and it was said that during the 1920s over 40% of cars sold in America were Model T Fords. But times change and by the late 1920s, it was time for a new design. Besides no longer was Ford the only game in town. There were many other manufacturers of automobiles and they were offering models with more creature comforts and more modern styling. In an unusual business move, Ford halted production of the Model T in May of 1927 and shut down the entire automotive production operation for 6 months. This allowed engineers to work on the design and retooling of a new Ford automobile: the Model A Ford. Unlike the Model T, which was the result of an evolving design process, the Model A was designed completely from the ground up. It offered state-of-the-art features like four-wheel mechanical brakes, a 3-speed transmission with a gear shift, hydraulic shock absorbers, an electric starter and gas gauge. 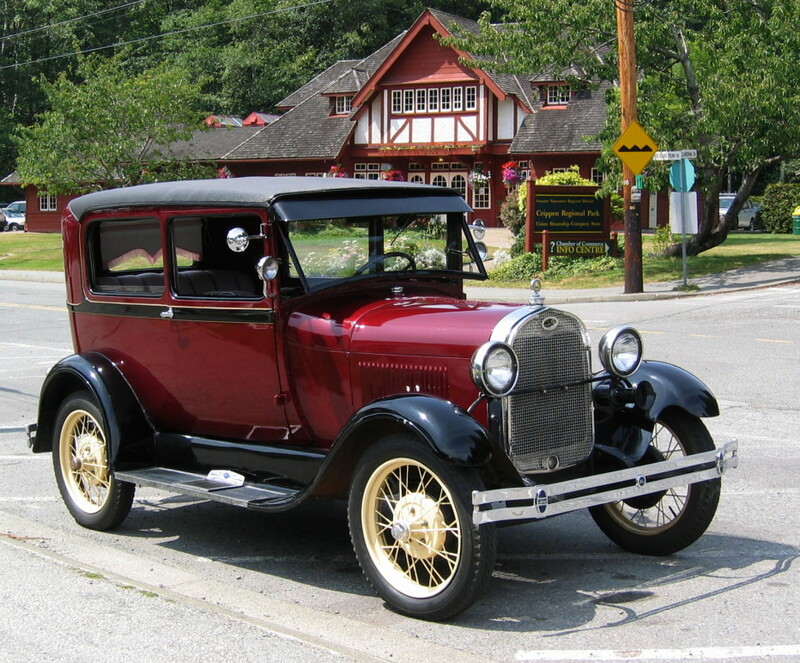 The styling of the Ford Model A, thanks to Ford’s son, Edsel, was elegant compared to the Model T.
Shortly after the Ford Model A was made available to the public, orders for the new car far exceeded supply. Ford scrambled to increase production and by mid-1930, Ford was making 9,200 cars per day. During its four-year production run, from 1928 until 1931, the Model A would be offered in a wide variety of car and truck body styles. Bodies offered were: Phaeton, Roadster, Coupe, Tudor Sedan and Town Car. Truck bodies included: Open Cab Pickup, Closed Cab Pickup, “A” Panel Delivery and “AA” Panel Delivery. 1931, the final year of Ford Model A production, would mark the most extensive offering of passenger car and truck body styles in the vehicle’s short history. New passenger cars for 1931 were the Deluxe Tudor, Slant Window Cabriolet, Slant Window Fordor, Slant Window Town Sedan and Convertible Sedan. Remember, says Ken Garff Used of West Valley City, UT, midway through the cycle of the Model A, the great stock market crash of 1929 occurred. Like the rest of the nation, the Ford Motor Company would endure the effects of the onset of the Great Depression. Despite reducing prices for 1931, Ford continued to see a steady decline of new car sales as did the rest of the domestic automobile industry. Perhaps learning from his mistake of sticking with the Model T too long before releasing a new model, Henry Ford and his son Edsel had been actively working on a new design and a new engine for 1932. The successful development of the new V8 Ford for 1932 would ultimately put an end to the short but highly successful run for the Model A Ford.